What do award-winning consulting firms do better than the rest? 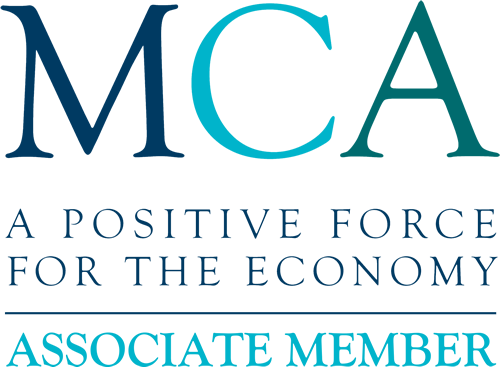 “The MCA awards remain the benchmark for quality in the UK consulting industry, with entries from many of the UK’s top consulting firms. 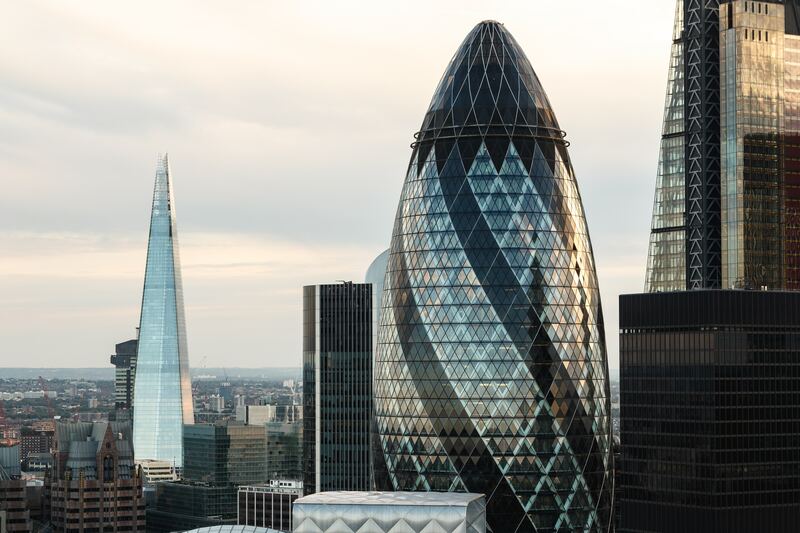 For an industry where firms are understandably keen to keep the secrets of their success close to their chests, the awards provide a rare opportunity to get an insight from the consulting firms’ own perspectives on the foundations behind their success. This is particularly interesting this year considering the political and macroeconomic uncertainty facing the consulting industry and the challenges, and opportunities, created by significant technological change. This year, it was apparent that there were a few characteristics consistent across all the award-winning firms. The top firms acknowledged that simply offering expert advice to clients was no longer enough in itself. Instead they recognised that their clients had engaged them to provide unique insights that could be both understood and crucially, acted on. Offering expert recommendations and creative solutions is essential, but what separated the top firms from the rest was their ambition and drive to work in collaboration with their clients to see these ideas brought to fruition. Also common across each award-winning project was a determination by the firms’ consultants to share knowledge, to transfer skills and to bring value to every interaction with the client. In short, the winning firms went well beyond the parameters of the initial engagement by creating as much additional value for the client as possible. Finally, it’s clear that the top-performing firms continue to invest significantly in their workforce. 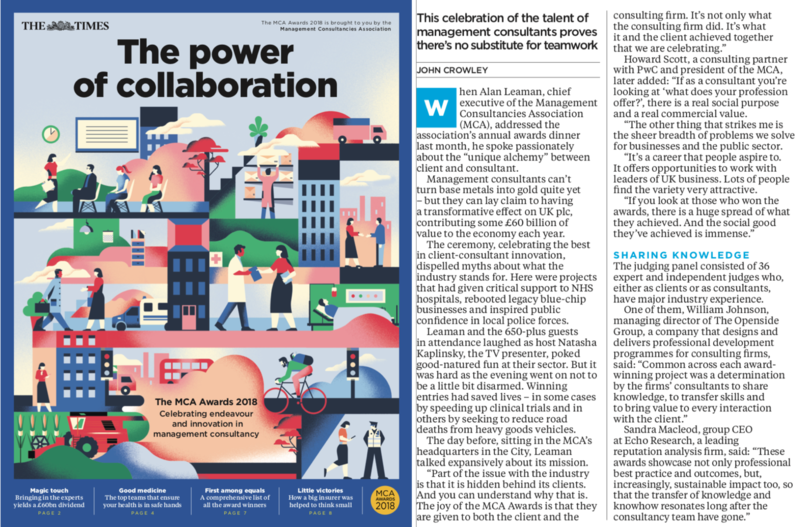 You can access and download the full MCA supplement found in The Times – “The Power of Collaboration” – by following this link. If you’d like more information about how Openside develop the core skills and behaviours required for success in consulting and how we help our consulting clients to align their professional development with their strategic ambitions, we’d be delighted to speak with you.